Anna Lisa Boni is secretary general of EUROCITIES, a political platform for major European cities. Europe is failing. The Paris climate commitments do not look like they will be met, one of the EU’s biggest member states is still lumbering on through stalling negotiations, and the democratic deficit leaves people feeling voiceless and powerless. This week, while European leaders meet to discuss the future of Europe, a few metres away so will more than 60 mayors, representing more than 130 million citizens through the EUROCITIES network. Our message is quite simple: Europe depends on its cities. Cities are the place where the fight against climate change becomes real, where people are most engaged in decision making, and where equal and inclusive societies can be made. Cities are making ambitious plans at the local level in tandem with citizens, businesses and civil society to limit global warming to below 1.5C degrees. 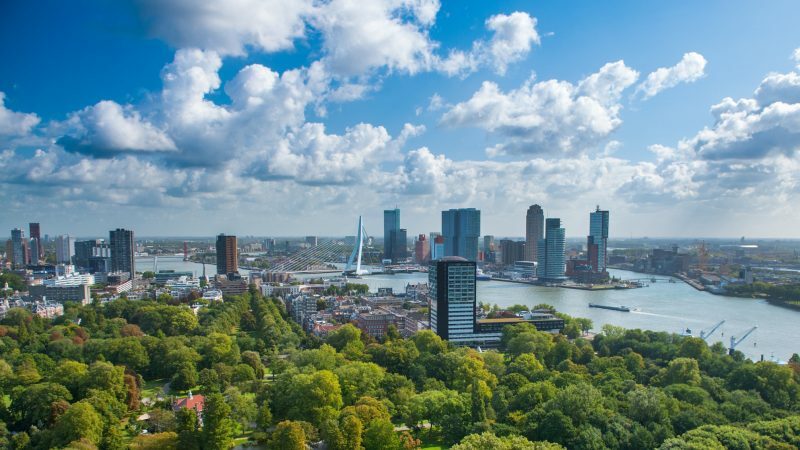 Through initiatives such as the Covenant of Mayors around 6,000 local climate and energy action plans have been adopted across Europe, with an agreed average CO2 reduction of 27% expected by next year. We are asking national and European leaders to show a similar, higher level of ambition. Now that even our young people are marching to share this same message, I wonder, what else do you need to hear before you act? Give cities a seat at the table, and together let’s ensure an EU long term strategy that clears a pathway towards a climate neutral Europe by 2050. At a time of increasing political fragmentation across Europe, our cities are uniquely placed to bridge the gap between European and national leaders and their citizens. We believe that to respond to pressing public concerns such as climate change, social cohesion, affordable housing, security and employment, representative democracy must be enhanced with more participative governance. Many cities are already engaging citizens in ways that go beyond the traditional election cycle through citizen panels, participatory budgeting and direct democracy platforms. Giving people more of a say in decision making that ultimately affects them is the best way to bridge the long evidenced democratic deficit. And cities have the knowledge and experience of how to do this. So we say to EU leaders: let us help you! Cities are taking the lead in the fight against poverty and social exclusion across Europe. We need a fairer, more equal and inclusive Europe that puts people at its centre. EUROCITIES new initiative ‘Inclusive cities for all: Social rights in my city’ takes the spirit of the European Pillar of Social Rights to deliver concrete actions on the ground. 21 cities, representing more than 20 million citizens have so far pledged €4.32 billion in city measures to implement the principles of the Pillar. Work with cities to refocus on a Union that is closer to its citizens. Through our ‘city leaders agenda for Europe’, we are asking European and national leaders to work with cities as partners to bridge the gap between Europe and its citizens. Together we can build an ambitious agenda for Europe that works for its cities and people. Recent years have seen many positive developments. Notably the establishment of the Urban Agenda for the EU, which is a milestone for Europe and its cities. To ensure this recognition is continued into the next European legislature we are asking for strengthened leadership on urban matters at EU level through the nomination of a vice president in charge of urban affairs in the European Commission. We also call for stronger transversal coordination of urban matters within the Commission and the other institutions. Local level leadership can inspire other levels of government to act in new ways, by refocussing on the core policy goal of improving people’s lives while living up to our European values. Cities do this every day. Work with cities, work for people.